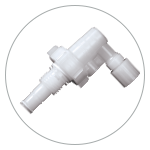 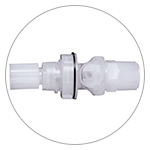 Bioprocessing, semiconductor and similar industries often require CPC’s rugged quick disconnect couplings and connectors made from high purity materials to transfer aggressive chemicals. 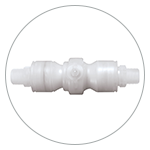 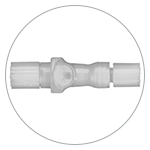 Our connectors are compatible with a broad variety of chemicals and they protect both workers and the environment from dangerous fluids. 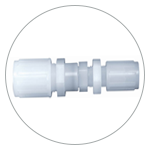 With optional RFID-enabled technology, metal-free construction, Viton® seals and other high purity features, we’re helping you make chemical handling cleaner, faster, safer and smarter—one connection at a time.